Peter Clarke, Ph.D. (University of Minnesota), holds two appointments at the University of Southern California (USC): Professor of Communication and of Preventive Medicine. Clarke’s current work focuses on helping low-income people improve their nutrition. He and his colleague, Susan H. Evans, have developed and field-tested a mobile app, Quick Help for Meals. The app invites household cooks to customize selections of recipes and food-use ideas to their individual needs and circumstances. Content of the app has been designed to meet the special needs of low-income households (though cooks at all income levels and degrees of kitchen experience find Quick Help appealing and helpful). Field studies, to be published in Public Health Nutrition (in press), show that the app increases people’s use of fresh vegetables in preparations of meals and snacks by 38 percent, and promotes sustained use of vegetables. And, the app leads to many other beneficial effects on family food consumption. Building and testing Quick Help was made possible by grants from the U.S. Department of Agriculture, the State of California, the National Science Foundation, the Ralph M. Parsons Foundation, Kraft Foods, and other supporters. Clarke and Evans are now experimenting with various ways to disseminate their app nationally; grants from the Michigan Fitness Foundation and the Aetna Foundation are contributing to this effort. Earlier, Clarke and Evans worked to increase the supply of fresh fruits and vegetables to low-income householders. They established and directed From the Wholesaler to the Hungry (1992-2009), which received awards for public service from the U.S. Secretary of Agriculture and the UPS Foundation. Their project helped launch 152 new fresh food programs at food banks nationwide. These continue to recover vast quantities of surplus fresh produce and to direct these nutritious foods to low-income Americans. In 2017, the programs captured approximately 2.5 billion lbs. of such “edible-but-not-sellable” fresh produce. Clarke and Evans’s project also created and managed two grant programs (approximately 700 awards of $32 million overall) that built the capacity of food rescue efforts at the local level. Working methods and achievements by From the Wholesaler to the Hungry were reported in a 2011 article in the Stanford Social Innovation Review. Clarke’s most recent book (with Evans) is Surviving Modern Medicine (Rutgers University Press, 1998). Through it, readers discover how to establish better communication with their doctors, make more thoughtful choices among options for care, and get support from friends and family that promotes wellness. Though intended for the general reader, Surviving Modern Medicine is based on more than 500 studies in the medical and behavioral literature. Clarke has also directed projects that apply advanced telecommunications to healthcare. These have included: the design and evaluation of multimedia kiosks to aid cancer patients and their families, as they cope with illness and treatment side effects (funded by the IBM Corp.); and experiments with videoconferencing support groups among illness survivors (various foundations and corporate sponsors). He has published more than 40 articles in professional journals and has edited works such as The Computer Culture (Lexington, 1984), New Models for Communication Research (SAGE, 1973), and seven volumes of the Annual Reviews of Communication Research (SAGE). Clarke and Evans also published Covering Campaigns: Journalism in Congressional Elections (Stanford University Press, 1983), reporting nationwide surveys of newspapers, journalists, and voters and how the public becomes informed about contenders for seats in the U.S. House of Representatives. 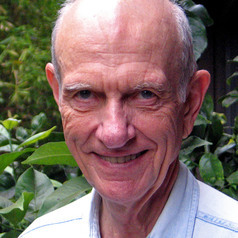 In addition to his research and work in social action, Clarke has chaired or served as dean of four academic programs in communication at three universities: the School of Communications (University of Washington); the Department of Journalism and, later, the Department of Communication (University of Michigan); and the Annenberg School for Communication (University of Southern California). He has chaired USC’s campus-wide Committee on Appointments, Promotions, and Tenure and the University’s Budget Advisory Committee. Clarke serves on boards or advisory bodies for several public interest groups--including the Council on Technology and the Individual, and the Corporate Design Foundation--and on scientific panels. He has been a member of the programmatic review for the Breast Cancer Research Program conducted by the Department of Defense’s U.S. Army Medical Research and Materiel Command. Early in his working life, he was an industrial photographer and principal of an advertising agency in Seattle, WA. In 2011 on its 150th anniversary, the University of Washington’s College of Arts and Sciences named Clarke one of 150 of its most accomplished living alumni. Clarke and Evans received the 2018 Award for Applied Research from the International Communication Association.